Mosquito-borne diseases like Zika, dengue, West Nile, chikungunya and yellow fever are responsible for several million deaths every year. Image Credit: Katie Honas '14. Mosquito-borne diseases like Zika, dengue, West Nile, chikungunya and yellow fever are responsible for several million deaths every year. Photography: Katie Honas '14. When Laura Terriquez-Kasey, DNP ’15, woke up one morning in 2014 feeling achy and feverish, she immediately suspected what was wrong. She called her doctor and arranged an appointment for that afternoon. What Terriquez-Kasey, a clinical associate professor at the Decker School of Nursing, was dealing with, she knew, wasn’t influenza or a cold. It was a nasty virus called chikungunya. She had contracted it — despite taking all the precautions she routinely drummed into her students — while leading an educational field trip to the Dominican Republic a couple of weeks earlier. 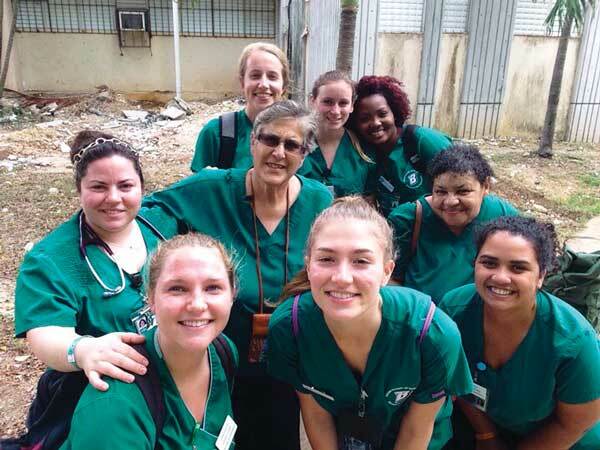 For more than a decade, Clinical Associate Professor Laura Terriquez-Kasey, center with glasses, has taken undergraduate students to the Dominican Republic to provide healthcare. This is the group from 2016, which included Decker Clinical Instructor Socorro Osorio, center row, right. “I take students to the Dominican Republic every two years,” she says. 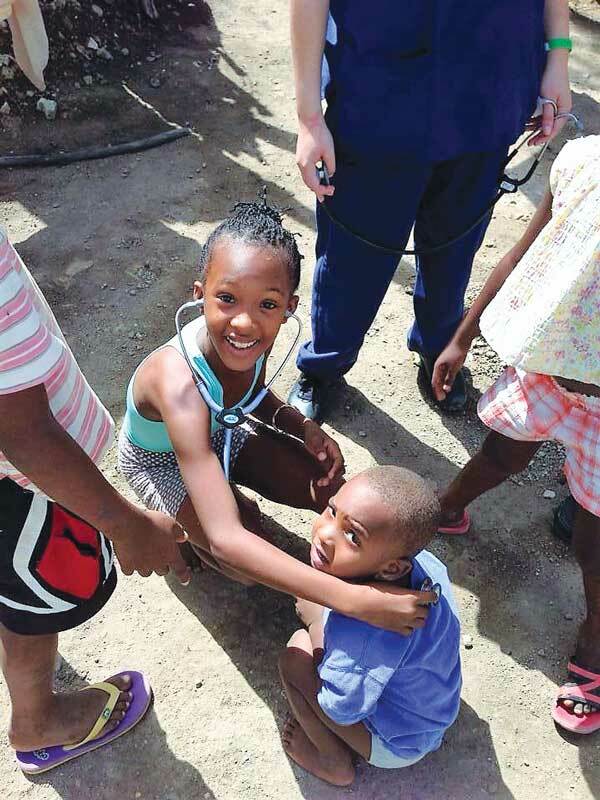 “We go there so the students have an opportunity to work in a clinic where they can observe and learn about tropical diseases they seldom have an opportunity to see in the United States, certainly not in Binghamton. Chikungunya primarily occurs in Africa and Asia, but since 2000 it has shown up with increasing frequency in the Americas, and in 2014 was detected in Florida. It is of particular interest to Terriquez-Kasey because of her work in disaster preparedness. Like a growing number of mosquito-borne tropical diseases, it has spread around the planet, helped along by global warming, expanding global economies and an explosion in international travel for both business and pleasure. For cities like Binghamton, which host large universities with diverse populations of international students and faculty members, as well as large companies whose employees travel extensively, this means there is always the potential that individuals who go abroad may return home carrying infectious diseases. This map represents the Centers for Disease Control and Prevention’s best estimate of the potential range of Aedes aegypti mosquitoes in the United States in 2017. It doesn’t represent risk for spread of disease. These mosquitoes are most likely to spread Zika, dengue, chikungunya and other viruses. Last year that threat reared its head in the United States when cases of Zika — a disease that most Americans had never heard of — cropped up in several cities. Caused by the mosquito-borne Zika virus, the disease presents little danger to most people, but is a significant hazard for pregnant women, whose unborn fetuses are at heightened risk of developing neurological deficits when exposed to the virus. Nor is Zika the greatest of the mosquito-related infections that can hitchhike into the heart of America in the bloodstreams of unsuspecting travelers. Several diseases — including West Nile infection, yellow fever and dengue fever — present, in the early stages, with the same symptoms Terriquez-Kasey experienced when she was infected with chikungunya. And often they represent a much greater health threat. To face the threat, Decker School nurses are trained to serve as front-line defenders of public health. Planning for potential epidemics — of all stripes — is key to the defense, says Gale A. Spencer, SUNY distinguished teaching professor and the Decker chair in community health nursing, who teaches courses covering the management of epidemics using community-health resources. “The first line of defense is primary care providers,” she says. “When people are sick, they are most likely to seek help from their personal doctor.” If a communicable disease has broken out in a community, she adds, doctors will quickly become aware of increased patient volumes. Siblings living in the San Pedro de Macorís province of the Dominican Republic listen to their heartbeats during a training conducted by Decker School students to help children accept a physical examination. In the event of an outbreak, hospitals also experience increased patient loads. Both hospitals and primary care providers are required to report outbreaks of communicable diseases to public health professionals. Those reports trigger deployment of emergency plans. Spencer has played a key role in the development of several such plans, including Binghamton University’s. Effective emergency plans contemplate a wide range of scenarios. No matter the scope of the emergency, communication is essential. Communities must be made aware of the problem and reassured that healthcare professionals are taking steps to corral the threat and, as much as possible, keep it from spreading. Emergency plans take into consideration personnel needs. Under what circumstances would it be necessary to shut a university down? Who should leave the campus and who should stay? Which personnel — e.g., campus police officers, healthcare professionals, communications professionals, kitchen staff — must be available to help manage the situation? Such plans also address logistics problems that become increasingly challenging in the event of protracted institutional closures. How, for instance, will administrative functions such as payroll be managed? And what kinds of equipment are likely to be needed? Top: Mosquitos are considered one of the most dangerous creatures on the planet because of their ability to spread deadly diseases. Bottom: Infection with Zika virus (a colorized image is shown here) during pregnancy can cause severe fetal brain defects. Image Credit: Jonathan Cohen; Cynthia Goldsmith, Public Health Image Library. “Nurses can and do play an important role in the management and control of communicable disease,” says Yvonne A. M. Johnston ’93, MS ’97. An associate professor at Binghamton and director of the new Master of Public Health program, she teaches courses in advanced pathophysiology and pharmacology, core courses for Decker’s nurse practitioner program. Her classes are informed by her own considerable experience consulting with community agencies, especially in the area of chronic disease prevention, through Centers for Disease Control and Prevention-funded programs. “There are lots of places where interventions affect large groups,” she says. Johnston defines public health infrastructure as having three essential components: 1) proactive training and dissemination of information to help people stay healthy, 2) enforcement of health standards (e.g., cleanliness requirements in restaurants) aimed at reducing the incidence of disease and 3) recording of health data that creates a picture of public health in communities and helps public health professionals formulate strategies for the effective use of their resources.